Do you love snorkeling? Please enjoy this guest piece from Tim Fox of The Elite. If you’re an ocean lover, there’s perhaps no other sport which is as exciting as snorkeling. As you slip beneath the waves, you automatically open the doors to an exhilarating life under the water; life is teeming with an adventure that is yet to be explored, a life full of secrets that are yet to be unearthed. Usually, the best snorkeling spots are tropical places with beautiful coral reefs. But guess what? America boasts a couple of these spots that’ll perfectly cater to your snorkeling adventures, too. To help you find the places we are talking about, here’s a full list of 10 best snorkeling spots in the US. Best Snorkeling Spots in the U.S. While Wisconsin isn’t typically associated with snorkeling, Lake Michigan has some of the coolest spots to explore. Located only two hours north of Green Bay, Bailey’s Harbor is one spot that comes with some incredible adventures for snorkeling enthusiasts. This spot is not just available for snorkeling, but you can also participate in multiple diving trips here. For your snorkeling session, you’ll get the amazing opportunity of exploring several shipwrecks that date back to the 1800s. The trips are affordable, and the spot is indeed incredible for hanging out with fellow adventure-loving buddies. The Ocean Beach Park in Connecticut comes with something for everyone. 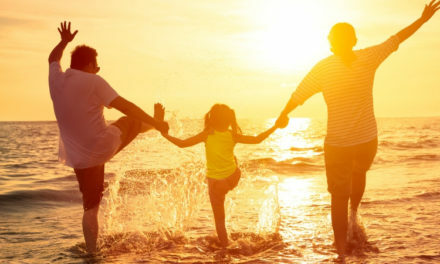 Whether you’re looking for a sugar sand beach, a cool water park, exciting water games, and attractions or amusement rides like snorkeling, this spot has it all. Snorkelers here can expect to witness beautiful and mysterious sealife like sea bass, sea urchins, corals, and small crabs. But while the place is definitely exciting for your snorkeling adventures, the temperature here is pretty chilly. So if you’re visiting the spot for snorkeling anytime soon, carry your winter gear to battle the immense cold. Located 26 miles from the coast of Long Beach, California, Santa Catalina is yet another popular snorkeling spot in the U.S. This island comes with some of the best snorkeling adventures for anyone who loves underwater sports. Visitors can either participate in the sport individually or take a guided snorkeling tour during the day or night. Two of the leading snorkeling spots on this island are Lover’s Cove and Casino Point. Both of them come with abundant fish and other unique undersea habitats. Located just 45 minutes away from the Rhode Island, Broke Island is a beautiful, serene island situated in the middle of Montauk and Martha’s Vineyards. Owing to its massive depth, the island is often touted as the “Bermuda of the North.” The clear water is perfect for snorkeling, and – as you begin your underwater adventure – you’ll get the rare opportunity of witnessing the juvenile tropical fish that are closely guarded in the bright and vivid coral reefs. While most of us presume that the Mid-Atlantic states are not a good spot for snorkeling, Lynnhaven Dive Center will prove you wrong. This spot is perfect for both beginners as well as the experienced snorkelers. This spot is widely known for its beautiful and unique sea fish and sea urchins. Crystal River is one of the best snorkeling areas in the US. This is yet another one of those awesome undersea spots, which is widely popular for its clear blue waters and incredibly unique sea habitat. The spot is particularly popular for its manatees, and it has often been said that the river itself is the home to the biggest population of these species during the winter months. As a snorkeler, you will get a chance of interacting with these manatees in their natural habitat. In addition to this, you can also view birds, fish and other wildlife on your trip. When we’re coming up with a list of the best US spots for snorkeling, we can’t go without mentioning Peanut Island, Florida. Situated along the Intracoastal Waterway, this spot is definitely a spot snorkelers will love. Peanut Island is open to snorkelers all year round where they can explore the beautiful underwater wildlife of this region. Some of the best sealife to see here include squids, octopuses, rays and beautifully colored tropical fish. Seals, leopard sharks, sea urchins, sea lions; you name it, and La Jolla, California, has it all. With a wide array of underwater wildlife, this is indeed one of the best snorkeling spots in the U.S. It can also be a great use of points and miles. After you sign up for a snorkeling trip, your guide will take you to the clearest spots underwater where you can view the wonderful sea animals. In addition to helping you explore the spot, they will also teach you the “Sting Ray Shuffle” which is an unconventional method of entering the water. So, if you’re looking to experience something new and exciting from snorkeling, La Jolla, California is one of the best options. This is yet another spot in Florida which is widely popular for its incredible snorkeling options. While Key Largo is inundated with many such snorkeling spots, John Pennekamp Coral Reef State Park is probably the best of the lot. The park was established in 1963, and it currently houses the only “living” coral reef in the U.S. The water is clear throughout the year, and the spot is perfect for any adventurer who’s looking to try something unconventional. For a snorkeling adventure entirely different from your regular ones, visit Haigh Quarry in Kankakee, Illinois. Often touted as the “Caribbean of Midwest” this spot houses some of the oldest boats and farm equipment. You’ll also get the chance of exploring cold water fish and several thousands of old ships, in this amazing spot. 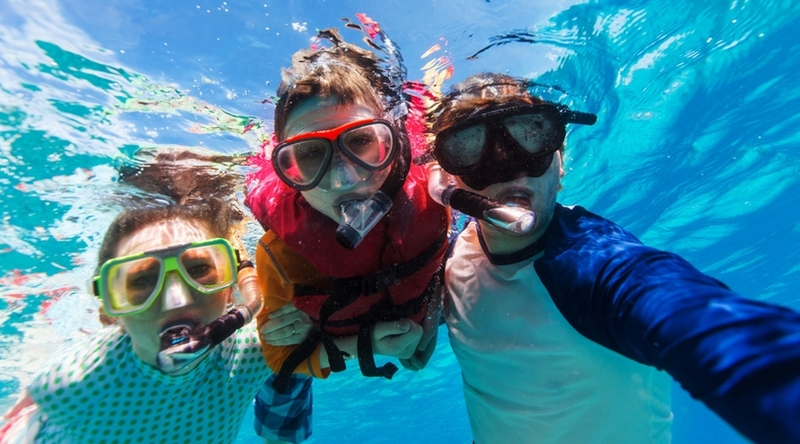 Now that you have a list of the best snorkeling spots in the US, visit your favorite destination right away to enjoy the snorkeling adventure of a lifetime! Tim Fox is co-founder of The Elite. He enjoys spending his time between the mountains in winter and the seas in the summer.